Not Everyone believes in love at first sight, but for Laura Palermo, there was no dispute. One chance meeting with a sea turtle and Palermo knew it was the beginning of something special. Sea turtles, which have been swimming on the Endangered Species list since the early 1970’s, have long been a source of fascination for Lowcountry residents. A new Charleston resident herself, Palermo had a rare and unexpected encounter with the gentle sea creature one day. to a newfound fascination with the sea turtle—a fascination that expressed itself through her artwork, which is now on display at the SC Aquarium, titled Paintings for a Purpose. Palermo was fishing with friends one day when a sea turtle swam up to their boat. The artist was immediately intrigued with how the sunlight reflected off the turtle’s shell in the most fascinating patterns. She began learning all she could about the plight of the threatened species.The more she learned, the more determined she was to help them. 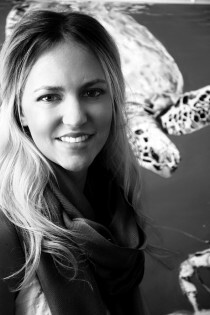 For Palermo that meant combining her newfound knowledge with her visual art skills to tell the story of the sea turtle. Palermo’s paintings achieve the same look of refracted light shining onto the turtle’s carapace that she noted in their initial encounter.“I’m drawn to the different patterns and colors in their flippers and shells. With seven different species, there are many different perspectives to paint from,” says Palermo. 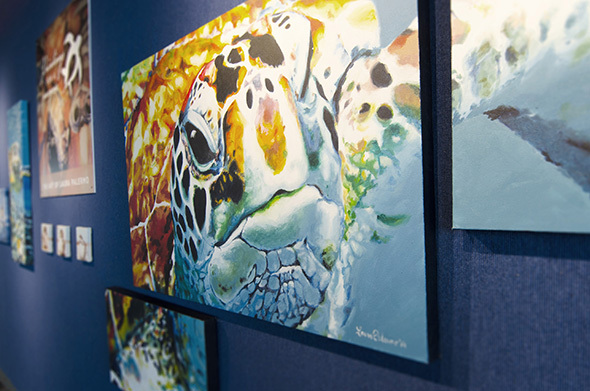 The artwork is available for purchase, with part of the proceeds benefiting the Aquarium’s SeaTurtle Rescue Program. 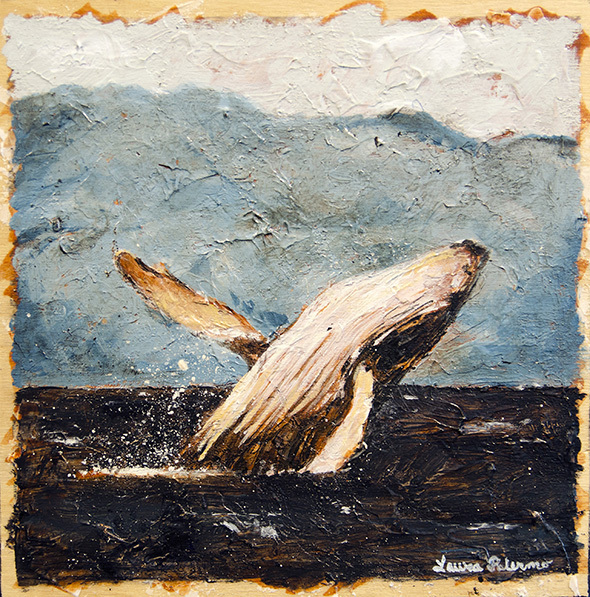 Paintings for a Purpose is included in general admission to the Aquarium. Oysters, food, beer and wine included. 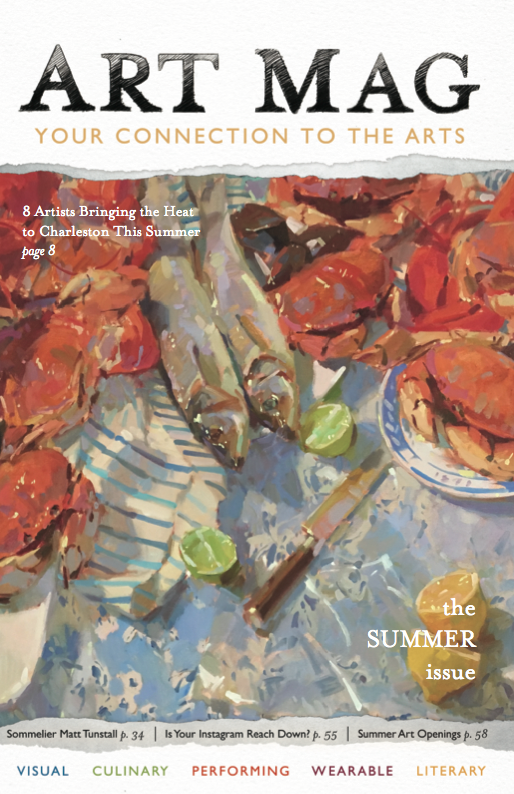 This will sell out; call 843.577.FISH (3474) for tickets. Posted in Visual on January 19, 2016 (Winter 2016) by Matt Mill.